hyrule historia – Brendan Mancilla, Author. 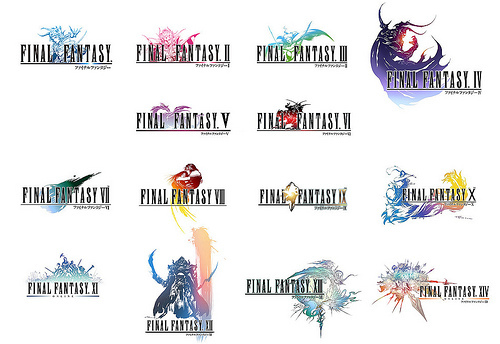 There are few things that I adore as fervently as the Final Fantasy series. Regardless of your opinion of the current state of the franchise, there’s no denying that a series with over 25 years of history is a force to be contended with. In 1987, a nearly bankrupt game company by the name of the Squaresoft released what it thought would be it’s last game and, in what proved to be an ironic twist of fate, FINAL FANTASY became the first entry in Square’s wildly successful RPG franchise. Currently encompassing fourteen main entries (FINAL FANTASY I-XIV) and dozens of spin offs, remakes, and—in certain instances—pure cash cows (I’m looking at you, FINAL FANTASY: ALL THE BRAVEST), the name FINAL FANTASY is synonymous with the highest quality story, music and art that can be found throughout the medium. For some people it’s Mario. For others it’s Link. For me, it’s all about Final Fantasy. 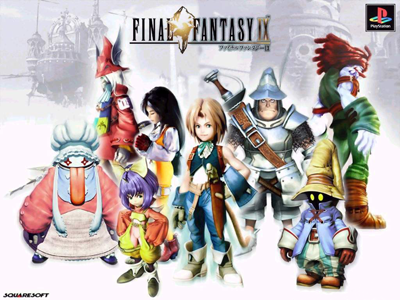 If I had to name a favorite then, easily, I would choose FINAL FANTASY IX. Most people name-drop VII (with Cloud and Sephiroth and Meteor) as their favorite Final Fantasy, and while that’s fair, it’s simply not the best Final Fantasy. As far as translation quality, art direction, and musical execution go, FINAL FANTASY IX is superbly unmatched. As the swan-song Final Fantasy for the Playstation 1 era, it goes unrivaled even thirteen years after its release. It’s only fitting in an ironically cruel sort of way, then, that I discovered THE SKY: THE ART OF FINAL FANTASY almost a month after it was published. After a particularly grueling week at work, I came to the conclusion that I deserved a treat for a job well done and this elaborate, beautifully slipcased edition was mine as soon as I found it on Amazon. As far as quality goes, I’ve owned a lot of “collector’s edition” memorabilia when it comes to the Final Fantasy series but this set of art books is the most stunning and impressive that I’ve ever owned. It outdoes, by sheer weight alone, the other contenders that come to mind. 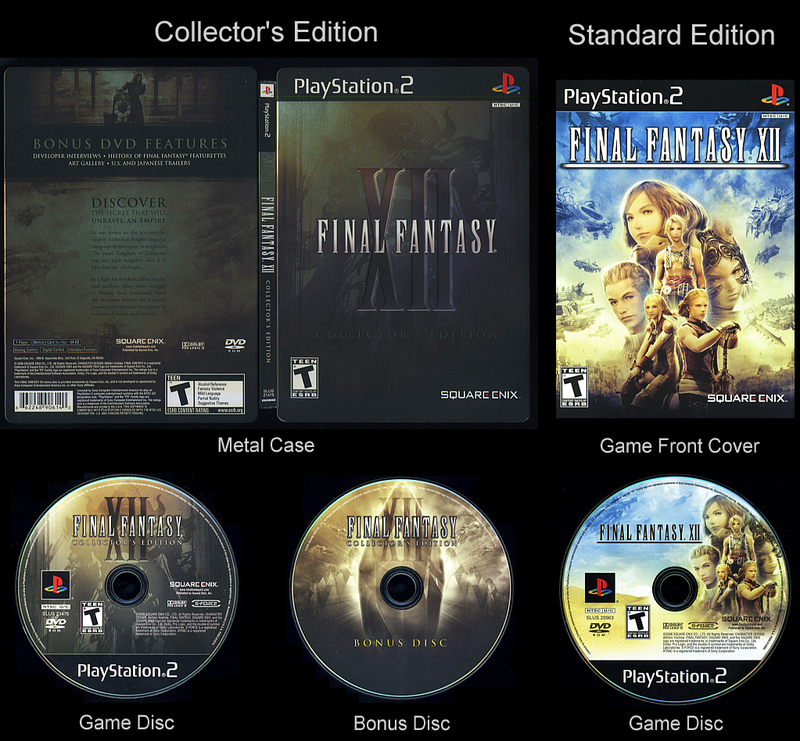 It shames the guide books for the games and derisively snorts at the art book that came with the collector’s edition of FINAL FANTASY XII. Where to begin, then, with THE SKY: THE ART OF FINAL FANTASY? Firstly, this box set is epic. I hate throwing that word around because of how devalued it has become as a result of the über-hype media machine that’s been built by my generation, but nothing else so perfectly describes the heft and weight of three respectable art books kept within a high quality slip cover. This “slip cover,” by the way, is more like a protective casing with an animated felt exterior. Nothing about the box feels cheap, but rather silky and ethereal as the artwork it contains. 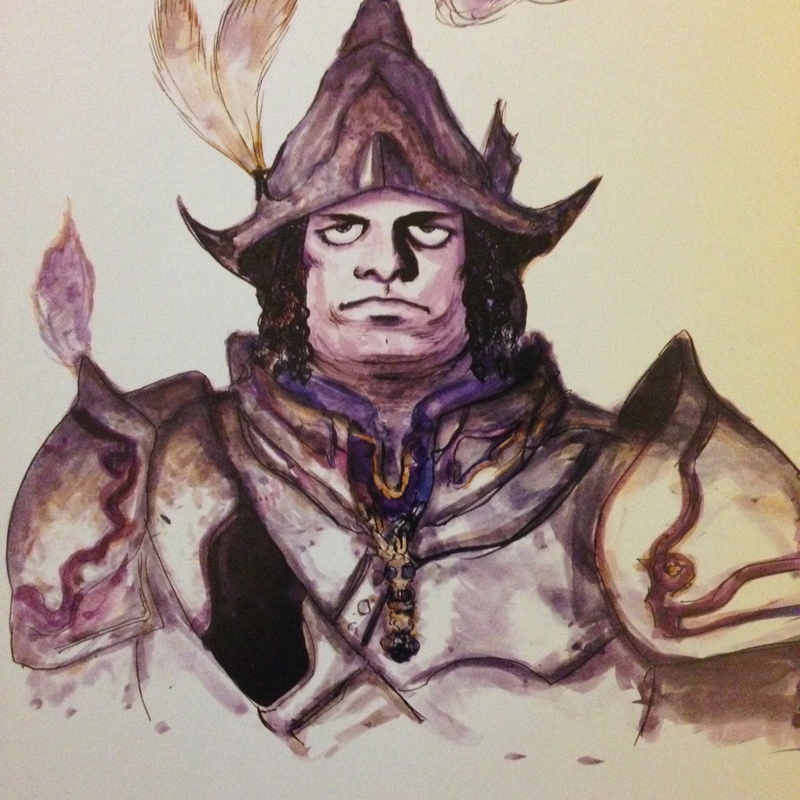 Yoshitaka Amano, to any respectable Final Fantasy fan, is immediately recognizable as the artist responsible for the logos of each numbered installment in the main series—the exception being the logo of Final Fantasy IX, a logo that nobody wants to take credit for. 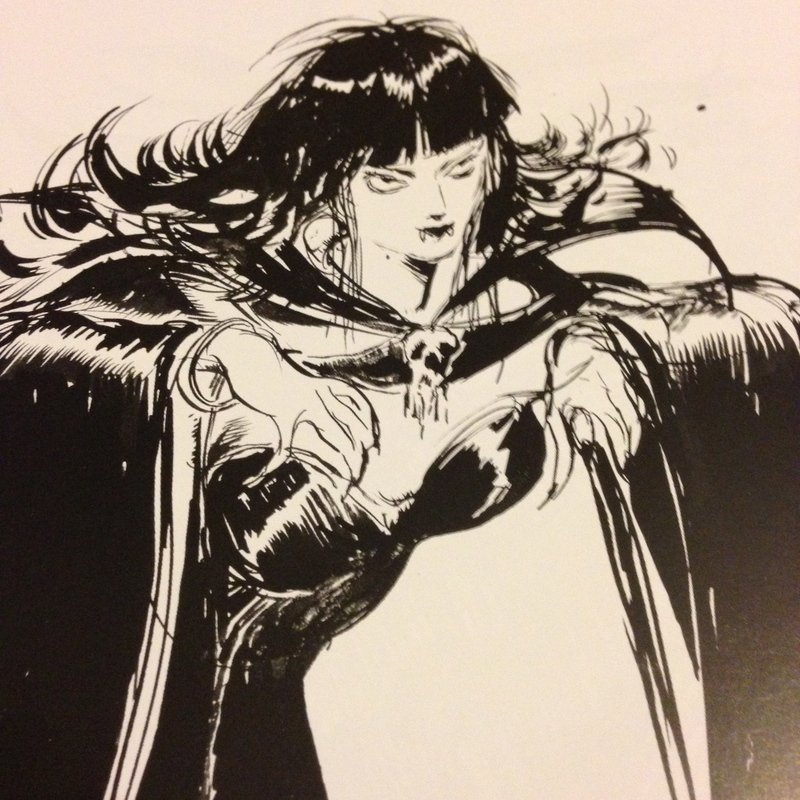 Amano was the main illustrator for games I through VI, contributed promotional artwork for VII and VIII, and returned as the main illustrator for IX. 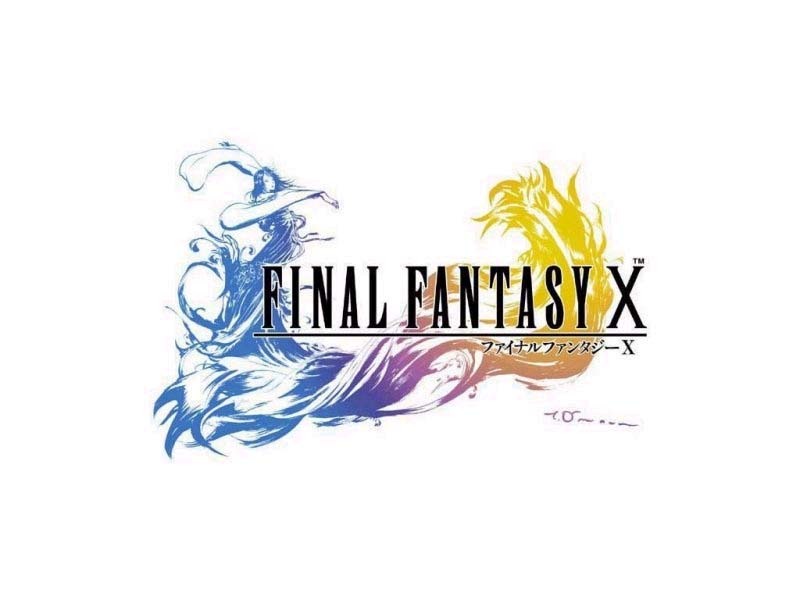 Since Final Fantasy X his role in the series’ illustrations is largely a symbolic one; he creates the logos for each numbered game, contributes some artwork prints, but has otherwise been active in different fields ranging from novel illustrations to manga and comics. However, that does not detract from the fact that Yoshitaka Amano’s fame is eclipsed, or perhaps only shared with, the pantheon of individuals who launched the FINAL FANTASY series to international acclaim, rubbing shoulders with the likes of Hironobu Sakaguchi and Nobuo Uematsu. And so this box set is primarily aimed at series fans of games I through X. Book 1 details his illustrative contributions for games I through III; Book 2 contains his work on games IV through VI and is the thickest of the set, nearly the size of the first and third books combined. Given that IV, V, and VI were the first games to really try to tell stories that were unique to themselves—despite being numbered, each Final Fantasy game is wholly separate from its predecessors—and introduced iconic elements like chocobos, moogles, and Cid, that was to be expected. And fans of FINAL FANTASY VI, which is widely regarded as one of the best videogames in history, will not be disappointed. Book 3, thinnest of the bunch, contains art from VII to X and more than a third of it is dedicated to IX, much to my joy! 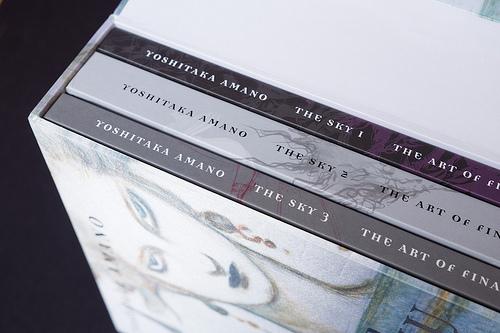 Book 1 is a treat, if only to see how Amano’s style began. His black and white drawings, often fearsome, are almost gothic. As the series matured, along with the technology responsible for translating Amano’s craft to playable format, so too does Amano’s style. Color and definition play a more important function but his most striking work tends to be excruciatingly detailed in black and white, as we see in Book 3. 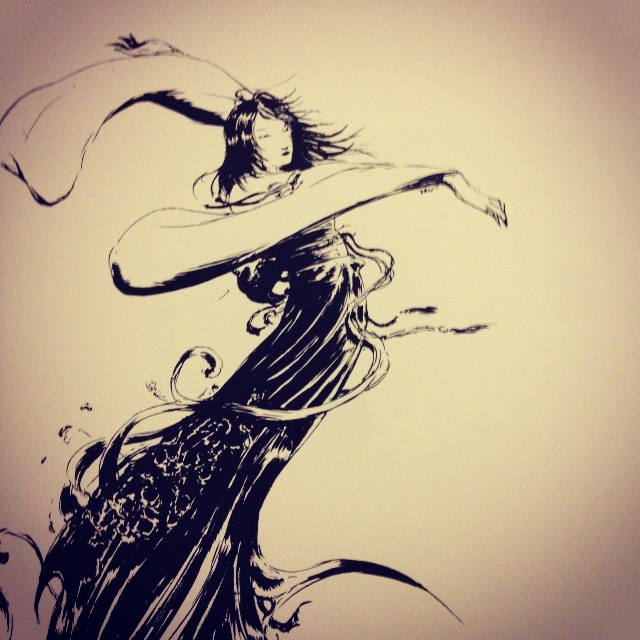 Take, for instance, the logo of FINAL FANTASY X.
It’s an iteration of a massive print, originally done in black and white, of the protagonist character Yuna conducting a dance called “the sending” in which the souls of the dead are dispatched to the afterlife. Book 3 contains, across two massive pages, the immense masterpiece that the logo ultimately underserves. I snapped a square of Yuna alone, and I think it at least hints at the intricate beauty with which the image was crafted. Where this set shines is when, as an avid fan, I was able to connect with the artwork for my favorite games. In particular, I found the artwork for IV, VI, and IX to be especially compelling. 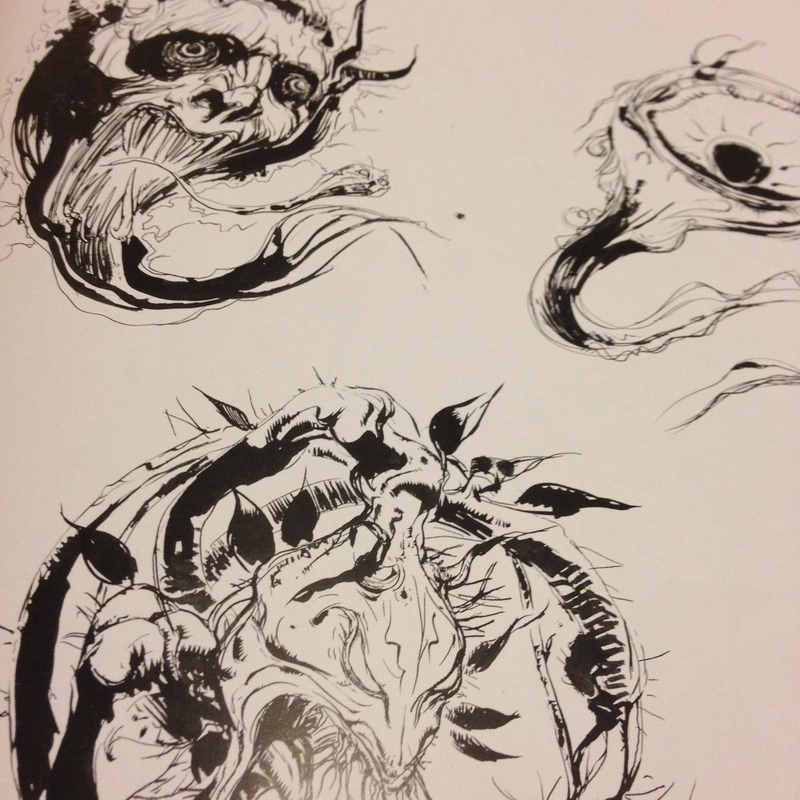 Absorbing art is always a silent and rather contemplative action, but in this instance it’s amplified by the knowledge that Amano directly impacted the evolution and visual style of my favorite entries. In a small and unimportant way, I participated in his artistic process. As soon as it arrived, THE SKY: THE ART OF FINAL FANTASY became one of my most treasured possessions. Dark Horse Comics, the publishers of this tome of artistic triumphs, has published a variety of other companion art books of high quality. At this year’s San Diego ComicCon, I perused their booth and took note of the art books they had for The Legend of Korra and was definitely impressed. THE SKY will assuredly join my copy of HYRULE HISTORIA as testaments to the fact that videogames can be, and inherently are, works of artistic merit. THE SKY: THE ART OF FINAL FANTASY is a nostalgic and powerful love letter to the fans of Final Fantasy, and is not to be missed.